So whilst enjoying my final few days in Koh Samui, Thailand I realised that my return to Europe really needed me to have a suit for an event. 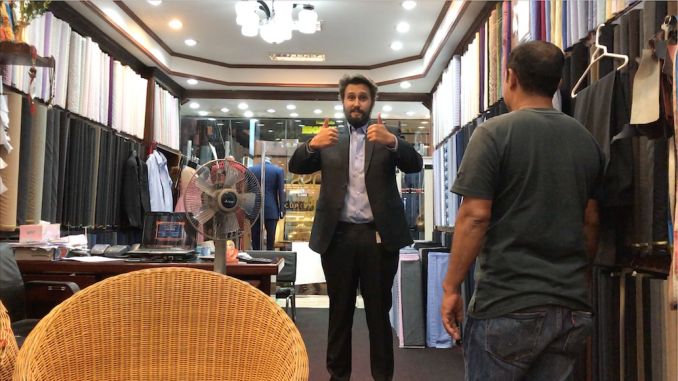 So this blog was a quick insight into Getting a tailor made suit in Koh Samui. During my visit to Thailand, I had been propositioned by pretty much EVERY single tailor, be it in Koh Samui, Bangkok or anywhere else. They are always outside their shops looking to get you to buy from them. I chose Boss Style Tailor in Koh Samui, situated in the Fisherman’s Village, Bophut. The guys there were awesome, and I was really happy with the service, quality and speed at which they sorted out a new suit, completely custom made as well as 2 shirts to go with it. I’ll keep this post short, as it’s more about the video than anything else.